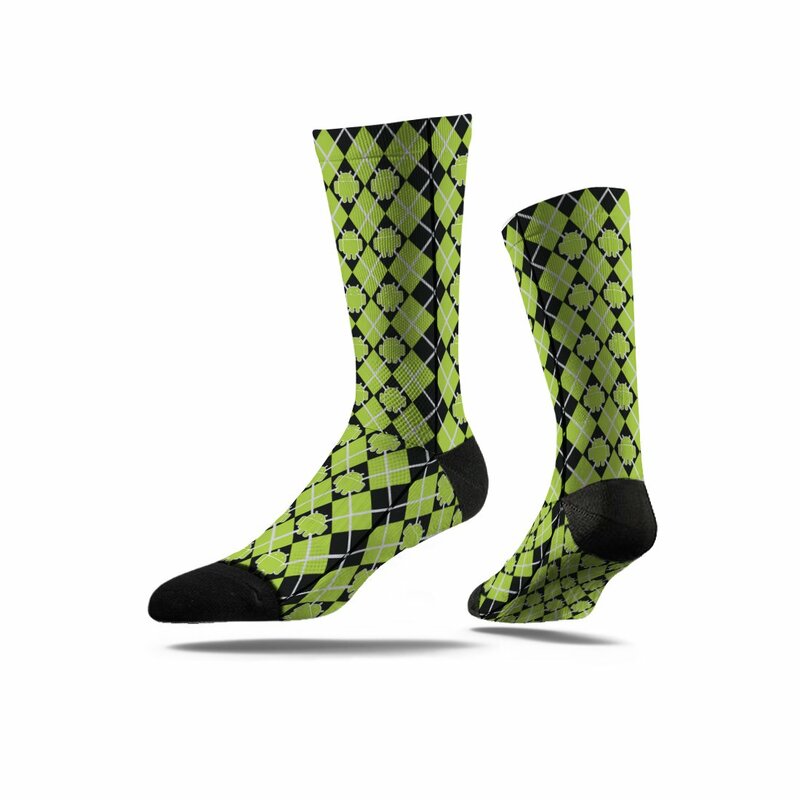 The Full Sub is the finest quality sublimated sock on the market. Special digital ink printing uses a lower temperature than most other sublimated printers and it takes its time to seep deep into our micro-poly design area. Available in a crew length only, this sock can have a full colour image printed on the entire front and back of the sock. The world’s most comfortable sock – now fully customizable. All of the design capabilities of the Full Sub process with your choice of either the comfort of the Premium sock or the budget price of the economy. Printed with digital ink, a high quality print method specially designed for socks to maintain the design when worn and produce little to no “grin lines”. Our Full subs are printed front and back so intricate design features should not be placed on the sides. Each sock starts as a pre-knit base of a white sock with a black or white heel and toe. This sock is fully customisable with PMS matching, except for the comfort features on the foot that come in black or white. Made with a proprietary blend of combed terry cotton, micro polyester and spandex that is sewn on terry machines – 144 point needle machines. The economy version is only available with black heel and toe only. Made from the same blend as the Premium – the main differences are it is a slightly thinner sock, and doesn’t have the comfort padded areas on undersole.